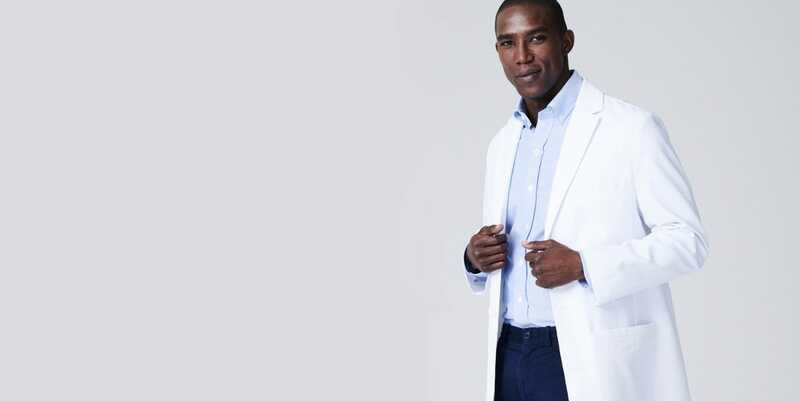 A modern interpretation of a classic fitting lab coat. Featuring a sporty, geotechnical appearance, and two interior patch pockets in a signature grey mesh. A professional look without compromising on comfort. A modern split-Y back yolk and ergonomic elbow seaming. 2 front patch pockets; 2 interior pockets; 1 chest welt pocket. 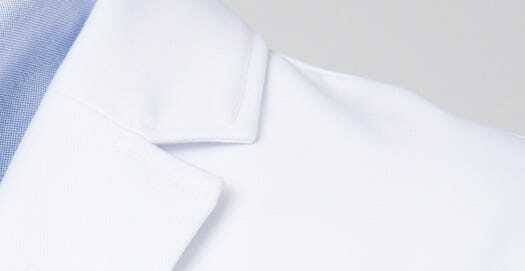 Laterally placed, slimming front seams. Great fit! Easy to clean. Amazingly comfortable.